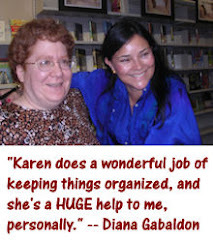 Check out the wonderful new OUTLANDER Timeline, created by Barbara Schnell, Diana Gabaldon's German translator. 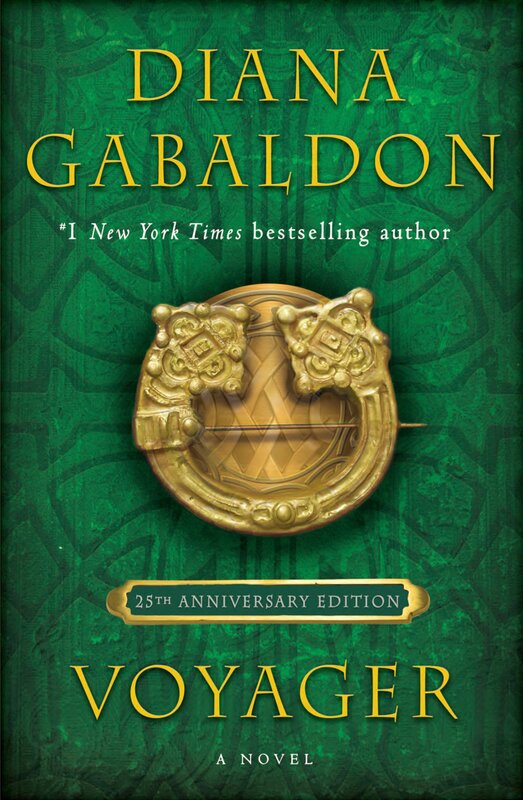 This is going to be a terrific resource for OUTLANDER fans. It's very comprehensive, and Barbara did an amazing job in putting it together. 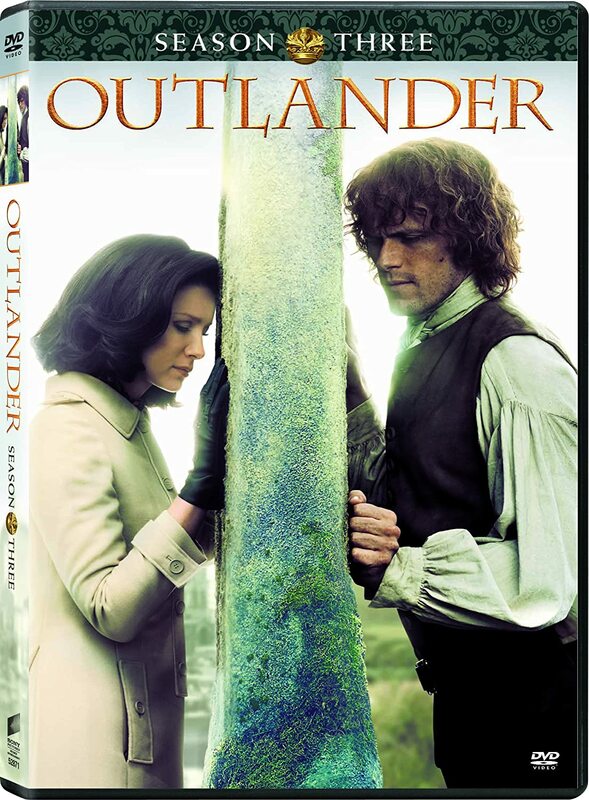 The OUTLANDER Timeline is also available in German. On a personal note: You'll notice that Brianna's birthday is listed as November 23, 1948. My birthday is also November 23. I've always thought it would be neat if Brianna and I shared a birthday, and I've said that on Compuserve a few times, but as far as I know, Diana has never confirmed it. The timing works, though, since we know Bree was three months old in February, 1949, during that Very Bad Day when Claire was home alone with her (VOYAGER chapter 3, "Frank and Full Disclosure"). Please pass the link to the OUTLANDER Timeline on to anyone else you know who might be interested. Thanks! 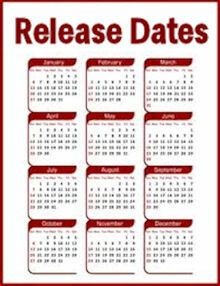 Hello Karen,the timeline is such a good work, very useful for all the addicts!! Thankyou. This timeline is very similar to the ones posted on The Outlander Bookclub website a few years ago. It's a bit more complete than Barbara's and includes Jamie's time at University in Paris, which seems to conflict with Barbara's timeline. She has Jamie soldiering with Ian around then. The Outlander Bookclub has produced timelines for all the books in the Outlander series. The easiest way to find them is by going to the Board Index and clicking on the discussion for each book. This timeline is really cool. I don't know if anyone has picked up on this or not but here goes. I am listening to the audio book of "The Scottish Prisoner" and just a couple of days ago Lord John mentions that his mother's father was Scottish. Then while perusing the time line I noticed that Lord John's mother was a Fraser. I don't remember reading in any of the other books a scene where Jamie and Lord John talk about a common lineage. Now I know that Fraser is a common name in Scotland, but this just makes me wonder if Diana is going to have Lord John and Jamie find out that they are related. Anyone have any thoughts about this or know if I am not remembering where this has been covered in one of the books? I don't have any idea where you got the notion that Benedicta Grey, Lord John's mother, is a Fraser. Where do you see that on the timeline? I don't believe there's any evidence in the books to indicate that Lord John and Jamie are related by blood at all. I think you're misunderstanding that. French Becky - Please go look at the timeline again. Barbara Schnell updated it yesterday to remove the asterisks that were confusing people. It now says, very clearly, "Ellen Fraser dies giving birth to her fourth child." and on the next line, "Lord John Grey is born." Two completely unrelated events, that happened to occur in the same year. There is absolutely no evidence in the books indicating these events are connected in any way at all, except that they happened in the same year. This timeline is very confusing. According to the book, Frank and Claire were married for 7 years. And 7 years back from 1946 is 1939 which coincides with the fact that Frank and Claire were on their honeymoon just before war broke out. But according to the timeline they were married in 1937 which means that they were together for 2 years before the war, which means that they had plenty of opportunity to establish a home life together which seems to contradict that they were separated just after their honeymoon.